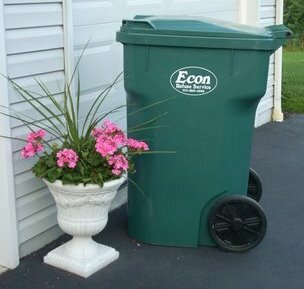 Econ Refuse Service is a local family-owned and operated trash removal company. We offer old-fashioned customer service combined with the convenience of the latest in rolling carts for easy trash removal. We are fully licensed and insured in Lancaster County. Our competitive rates give everyone another choice in trash removal. As an independently owned company, we can control our overhead without sacrificing customer service. In the event of a weather emergency that prevents us from opening, we will post updates on this page. Please check back here, or call us at 717-529-1292 if you have any concerns or questions. Click HERE to view our weather emergencies schedule. The next trash holiday is Memorial Day on Monday, May 27, 2019. Visit our Holidays/Weather tab for more details. Please have your trash out the night before your scheduled pickup day. WANT TO DROP OFF A PAYMENT IN PERSON? 140 Nottingham Road Nottingham, Pa. 19362. Winner of the 2012 Octoraro Riverkeeper Award, presented by the Octoraro Watershed Association, for Econ’s contributions, dedication and support of the OWA and Econ’s work to conserve, preserve, and protect the beauty of the Octoraro Watershed. 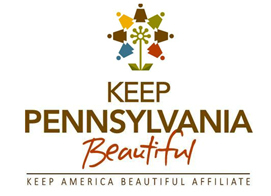 Winner of the 2011 Keep Lancaster County Beautiful Volunteer of the Year award.